Lately our weekends here have been beautiful and our weekdays wet. If I was still working regularly I would, no doubt, appreciate this weather arrangement. We seldom have what I would consider a downpour in Port Townsend, but today was an exception. Typically, it was a brief shower that passed in about 20 minutes. Just before it came I went out in my garden and took these photos. Timing is everything in many of our endeavors, but in photography the best timing is always aligned with lighting. This picture was taken two years ago on April 8th, 2010. It’s a good example of how conditions can change over a relatively short time. 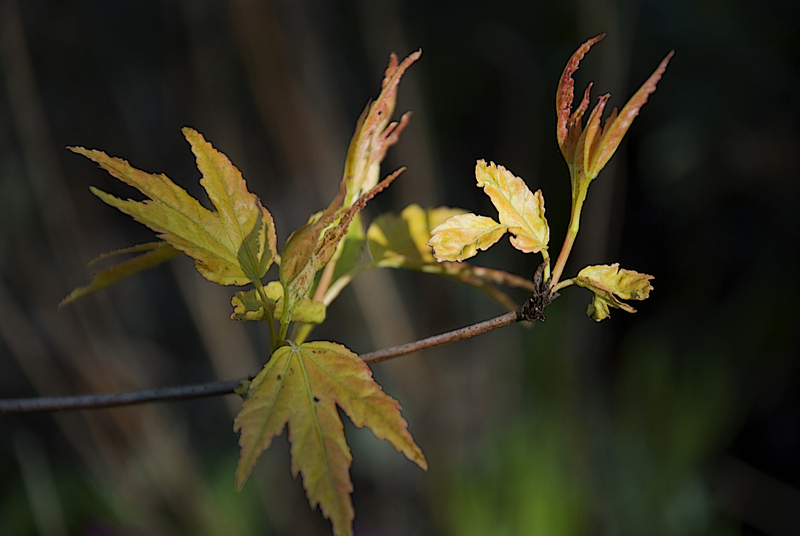 The same tree, a Japanese Maple, has buds but no leaves have yet to open at this time. This surprising as this Spring is warmer than the one we had in 2010 and just as wet. Pacific Red Alder (Alnus rubra) before it has completely leafed out. 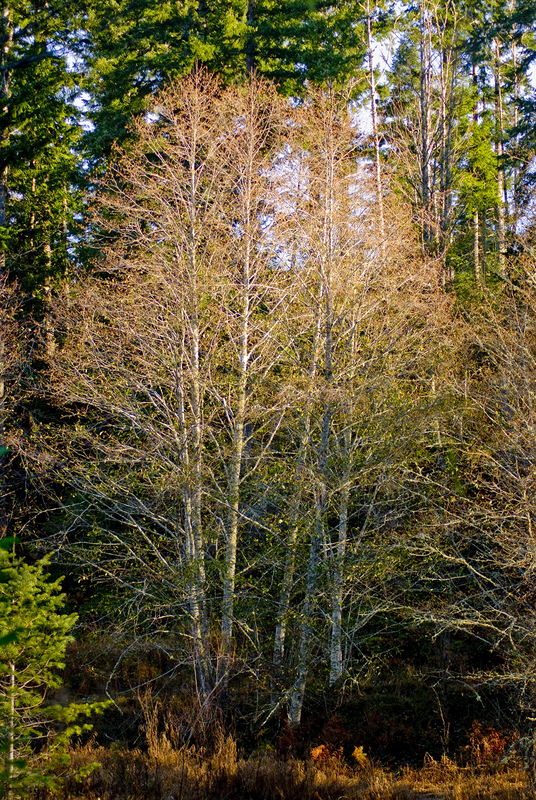 The Red Alder is a common tree in Northwest forests and is a significant contributor to forest health. Alders are known as “nitrogen fixers”. By increasing available nitrogen in the soil alders make it possible for conifer trees to become established. 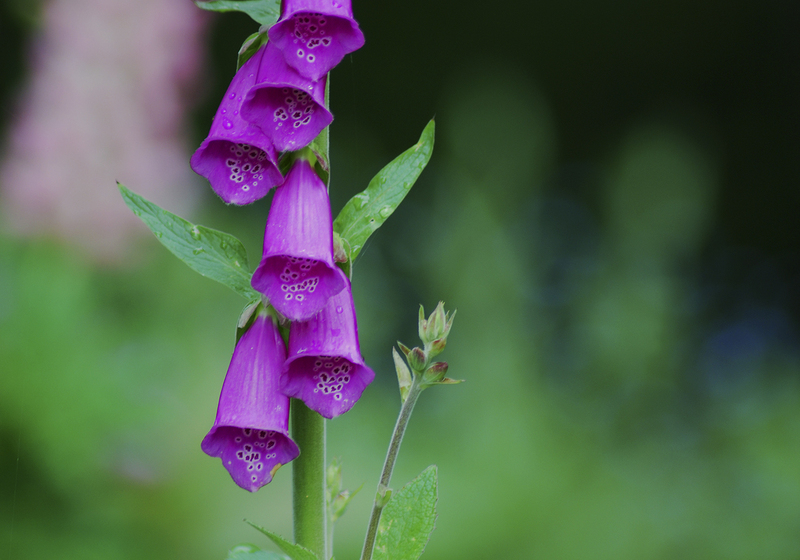 The very common, yet strikingly beautiful Purple Foxglove (Digitalis purpurea). 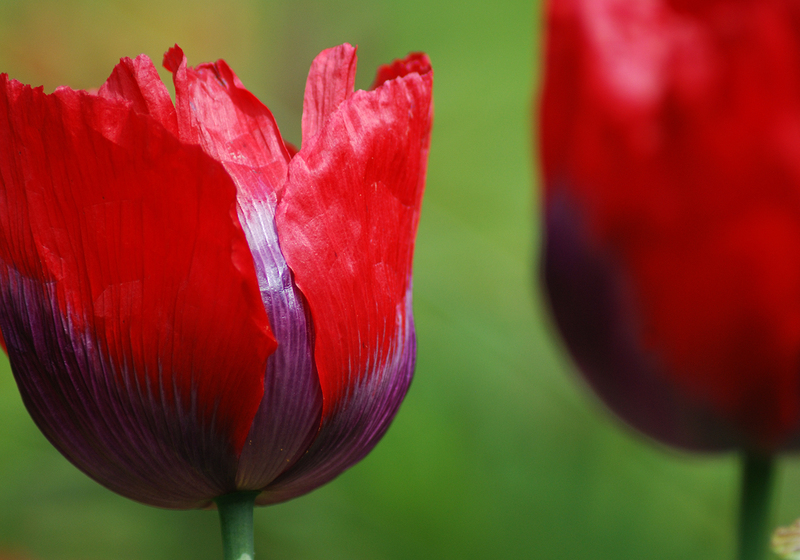 Soon enough the tulips will be in bloom. Copyright 2012 by G. W. German.